Elasticsearch benefits not just those looking for text search, but those looking for instant insights and business intelligence from their textual and unstructured data. You might see Elasticsearch implemented as part of a lambda architecture where Elasticsearch is used as the real-term, low-latency data store and visualization layer – and Treasure Data is used for long term historical data storage. Or, you might see Elasticsearch search used on the backend where data is normalized and formatted in another system (like Treasure Data) before being exported to Elasticsearch. Because Elasticsearch is easy to get started and open source, it’s become a popular analytics tool among developers well beyond data engineers and infrastructure engineers. But how about business users? 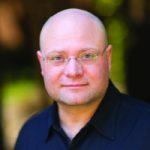 Isn’t it time for business users to take advantage of Elasticsearch’s flexible analytics capabilities? 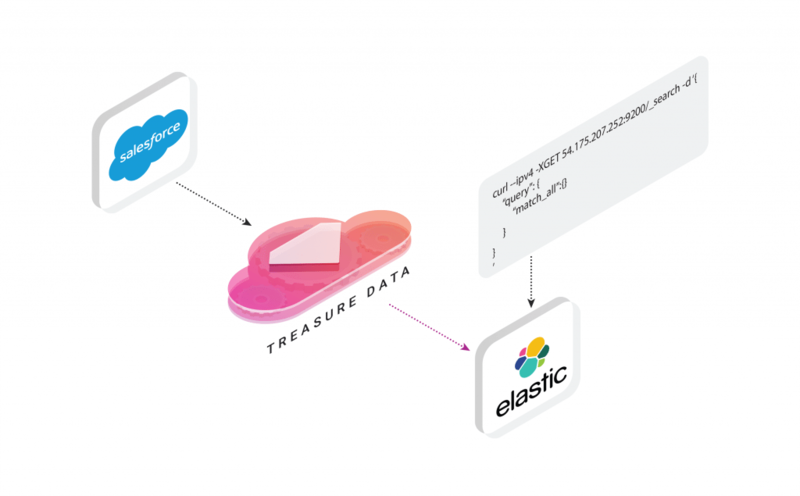 In this blog we’ll show you how to import Salesforce data into Elasticsearch using Treasure Data. I should note that Salesforce is just one of many data sources Treasure Data supports, and by tweaking my workflow a little, you can import data from a variety of data sources (See here for some of the 300+ integrations supported on Treasure Data). We’ll also touch on configuring AWS, EC2 (which we’ve used) and Elasticsearch to play nicely with your big data. Make sure you have top level IAM rights on your account and can grant relevant permissions. Go here for prerequisite steps to connect Treasure Data to Salesforce. This step enables you to have a look at your data and make any adjustments, if necessary. Once your Salesforce data has appeared in Treasure Data, you can query your results into a format you like, and export the results to Elasticsearch. For our purposes today, we’d like to map our billing city to descriptions of the leads, and export 100 of the results to Elasticsearch for text search. Click the ‘Run’ button at the top of the query window. Your Salesforce data will soon be ready to query in Elasticsearch! Now that your data is imported into Elasticsearch, you can run some simple curl queries on Elasticsearch from your remote host. You should come up with 100 records as that’s what you’ve limited your query to in the previous step. Now that you can export your Salesforce Data (or any data from Treasure Data’s 300+ supported integrations) to Elasticsearch, why not ask yourself where your data pipeline can benefit from a fast, well-supported text search? We believe that Treasure Data’s universal data connector gives you much more freedom and choice with your data ingestion and analytics efforts. Check out our product or request a demo today.